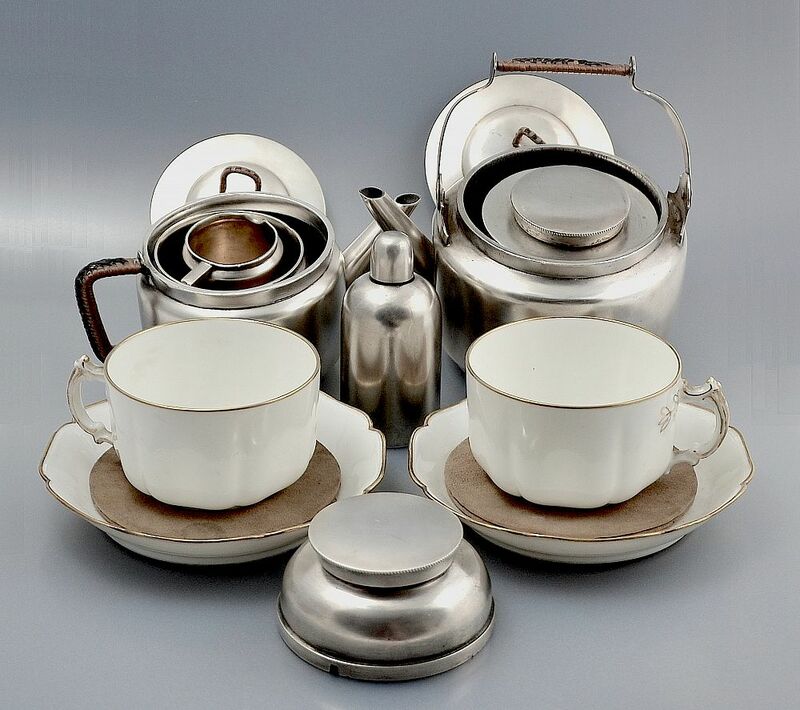 This fabulous quality travelling tea-set comprises, teapot, hot water pot, burner, tripod, milk jug, milk canister, sugar bowl and double tea canister with two cream and gold Limoges cups and saucers all of which fit into the compartmentalised leather travelling carry box that is lined with suede designed by Christopher Dresser. 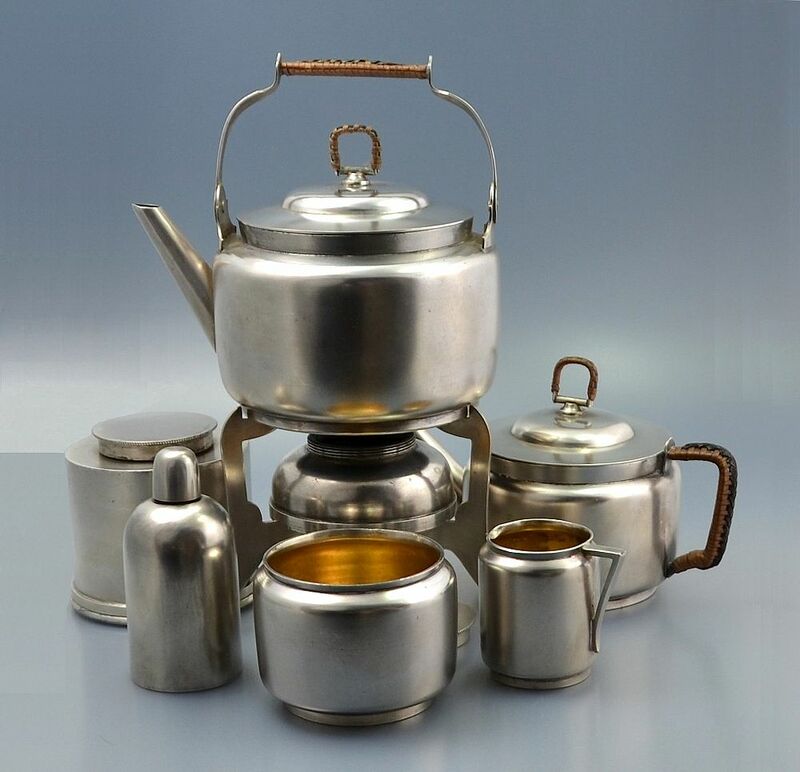 The metalware is silver plated and each one is numbered RDNo 85275. Some items have a letter of the alphabet. The tripod when folded resembles a horse looking over its withers.The handles of the two pots are wrapped in brown raffia patterned with black raffia. 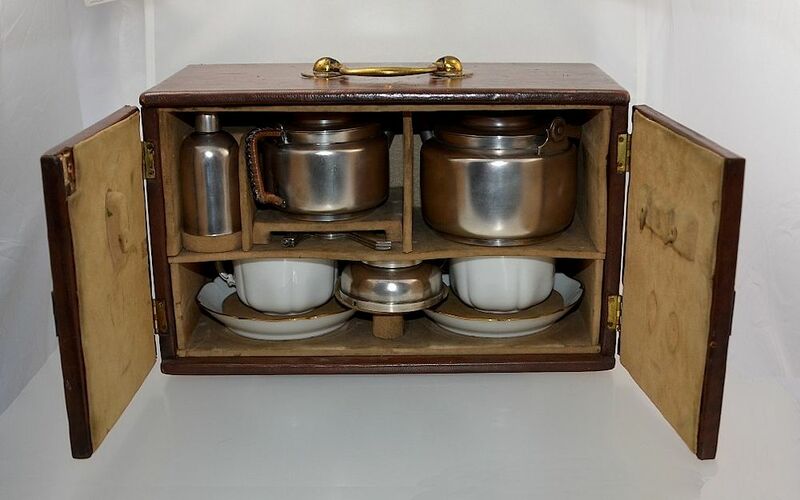 The utensils that would have fitted on to the rear of the doors are missing and would appear to have been 2 teaspoons and possibly a tea strainer.